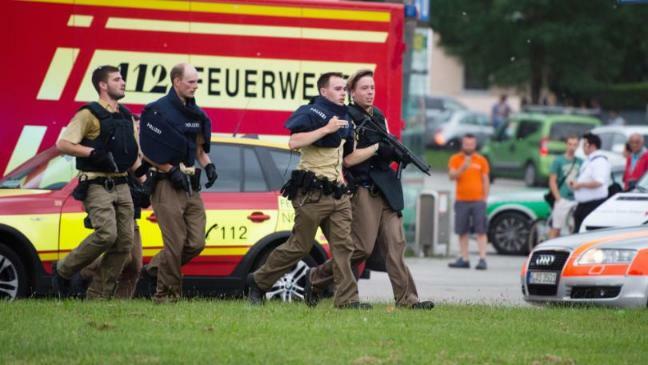 Police in Munich have said "we expect multiple dead" following a shooting at a shopping centre, according to Germany's dpa news agency. The Olympia-Einkaufszentrum shopping centre in the northern part of Munich is not far from the city's Olympic Stadium in the Moosach district of the Bavarian capital. Police are responding to the reported attack in large numbers. UPDATE A second shooting has taken place at the Metro Station nearby. Edward Snowden thinks about phone security a lot more than the average person. And with good reason, as the world-famous whistleblower revealed methods of government data collection on phone calls, and even from his exile in Russia, still remains a major advocate for digital privacy. Snowden, together with hacker Andrew "Bunnie" Huang, announced today at the MIT Media Lab a design for a case-like attachment to modify an iPhone, allowing you to monitor if and when the radio transmitters within the device are active. Huang is known among other things for reverse engineering parts of the original Xbox and security vulnerabilities in microSD cards. Snowden’s argument for the need for such a device is that consumer-side methods, such as turning off the radios via airplane mode, shutting off the phone entirely, or even sealing it within a Faraday cage are all not nearly secure enough when faced with a government-backed adversary. Snowden and Huang’s device is designed to offer an option for reporters and journalists traveling in areas that use high-level hacking methods to monitor devices, and where, they claim, governments can use exploits to trick you into thinking your phone is off while actually monitoring your conversations and locations. Snowden and Huang hope that their device will offer security to reporters in high-risk locations by preventing the monitoring or tracking of phones, and to ensure that reporters can definitively shut down radio connectivity but maintain use of the device. 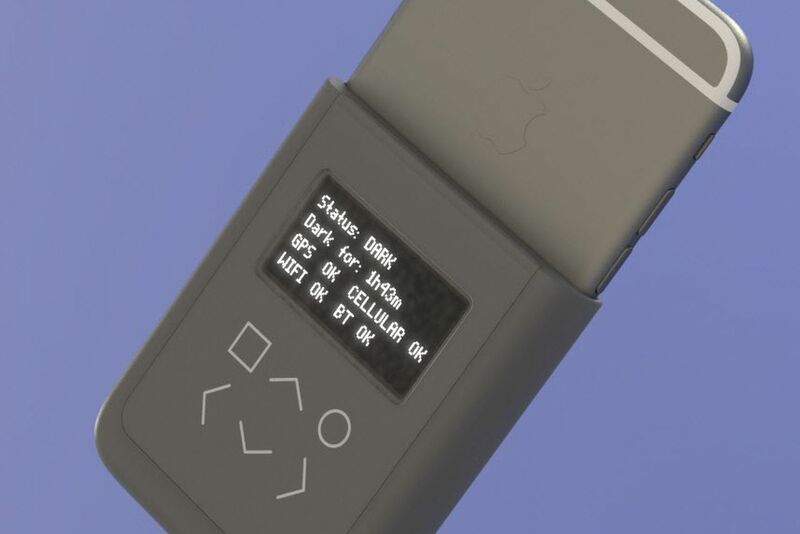 The device, which Snowden and Huang are referring to as an "introspection engine," consists of an attachment to a modified iPhone that physically wires into the antennas inside the phone for GPS, Bluetooth, cellular connectivity, and Wi-Fi through the SIM card slot (moving the SIM card itself into the external pack). It then can directly monitor radio transmissions, alert users to any unauthorized output when the radios are meant to be off, and even offer a kill-switch to immediately shut off the device. At this point in time, the design from Snowden and Huang has yet to move beyond the basic testing stage, with no prototype or product in the pipeline for now beyond a concept rendering. The two hope to be able to eventually produce a prototype, and eventually work with manufacturers in China to build modified devices to sell or distribute to reporters. A final production model would be intended to be both open-source and open hardware to allow users to ensure that the device hasn’t been compromised during the manufacturing process. Additionally, Huang does have some previous experience with hardware design, as seen in his open-source Novena laptop, making it more likely that the design does become an actual device one day. Did Russian intelligence warn Turkish government of impending coup? Russian and Turkish authorities will not confirm or deny reports that the Kremlin warned Turkey’s intelligence services about an impending coup on July 15, several hours before tanks appeared on the streets of major Turkish cities. On Wednesday, several Arab and Iranian news outlets claimed that Russian intelligence officials told the government in Ankara that the Turkish military was preparing a coup. The reports cited anonymous Turkish diplomats who said that Turkish intelligence was urgently alerted by the Russians “hours before [the military coup] was initiated on Friday”. According to the unconfirmed reports, the secret preparations for the coup first came to the attention of Russian military intelligence. Its radio interceptors captured —and were subsequently able to read— a series of encoded radio messages exchanged between Turkish commanders in the early hours of July 15. There is no information about the precise circumstances of the alleged interception, though media reports note the significant presence of Russian military intelligence in the northern Syrian province of Latakia, a few miles south of the Turkish border. The reports state that the intercepted messages contained “highly sensitive army exchanges” involving a plan to send army helicopters to the Turkish resort port of Marmaris, where the Turkish President Tayyip Erdoğan was holidaying, in order to kill or capture him. Russian intelligence officials reportedly shared the information with senior members of Turkey’s National Intelligence Organization (MİT). The alleged exchange allegedly took place “several hours before the start of the coup” in Turkey. However, government officials in Ankara will not comment on the possibility that Russian intelligence services may have warned the MİT about the coup. On Thursday, Russian government spokesman Dmitri Peskov was asked directly by journalists whether the Kremlin warned Turkish officials of an impending coup by the military. He responded saying “I have no information of that kind and I do not know which sources [the media reports] are citing in making these claims”. Russia’s TASS news agency interpreted Peskov’s comment as a denial. However, the wording in his response shows that he simply denies having personal knowledge of the incident. He does not deny it happened. At least 84 people have died and dozens are hurt after a terrorist drove a truck through crowds along Nice's packed waterfront. Ten children were among the dead after the driver hit people celebrating Bastille Day along the famous Promenade Des Anglais. Fifty more children are being treated at the children's hospital in Nice, some with "life and death" injuries. A motorcyclist who tried to block the lorry was run over, witnesses said. Others said the driver swerved from side to side to kill as many people as possible along more than one mile of the promenade. Many terrified revellers fled into the sea to escape the attack, which happened at about 10.30pm on Thursday. The truck eventually came to a stop after someone jumped onto the side of it, as people screamed for the driver to stop. The attacker then emerged from the vehicle and was confronted by revellers, some of whom thought it was still an accident. One, Egyptian Nader El Shafei, told BBC Radio 4: "The guy was very nervous and I tried to talk to him. "I was just in front of the window of the truck and trying to wave to him to stop and tell him there is a lot of people under his truck. "So in that time all of us thought it was just an accident and he had lost control. Suddenly I saw him taking out his gun." The gunman was then shot dead by police. Mr El Shafei added: "Just when they (the police) arrived they just felt something was wrong so they kept yelling at him and when he did not step out - they saw him from the window taking his gun out. "They knew that would be a gun shooting so they just killed him right away - they did not wait to negotiate or something, they just opened fire on him." Mobile phone footage, shot by Mr El Shafei, shows police surrounding the lorry, firing their weapons at the driver. French President Francois Hollande described the attack as a "monstrous terrorist act". He declared three days of national mourning, beginning on Saturday. Graphic footage shows a horrifying succession of bodies strewn along the city's landmark promenade in the lorry's wake. Analysis of 1,200 CCTV cameras has revealed the terrorist boarded the truck, far from the seaside "in the hills of Nice". Mr Estrosi said: "Attacks aren't prepared alone. Attacks are prepared with accomplices. "There is a chain of complicity. 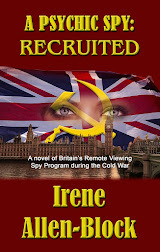 I expect it to be unveiled, discovered and kept up to date." One French newspaper said the truck was initially hired some time on Wednesday. Witnesses told how people were "flying like bowling pins" as the driver went on the rampage. One told i-Tele: "We almost died. It was like hallucinating... (the lorry) zig-zagged. "You had no idea where it was going. My wife... a metre away ... she was dead. "Some people were hanging on the door trying to stop it." "A fraction of a second later, an enormous white truck came along at a crazy speed, turning the wheel to mow down the maximum number of people," he said. "I saw bodies flying like bowling pins along its route. Heard noises, cries that I will never forget." Foreign Secretary Boris Johnson said that at least one Briton had been injured in the atrocity. Two Americans, a father and his 10-year-old son, have been confirmed among the dead, a US official said. Russians and Estonians were also injured. Lawyer Harjit Sarang and her children were among those caught up in the terror. The Londoner tweeted: "Running through crowds in Nice with kids and terrified. "Can't stop shaking. Hate that my boys had to experience this. Why did I take them. "Why did they do this and why the **** is this happening!" This tallies with the profile of a man whose identity papers were reportedly discovered inside the vehicle. In a live TV address, Mr Hollande said there is "no denying the terrorist nature of this attack". "I express in the name of the nation, our tears, solidarity, with the victims and the families," Mr Hollande said. He pledged to strengthen France's role in Syria and Iraq. He also extended the nation's state of emergency - imposed after November's attacks in Paris - for a further three months. Laurence Marie, who works at Lenval paediatric hospital, has said "many" children are undergoing serious operations there. Nice's famous luxury Negresco hotel, meanwhile, has been turned into a makeshift ward. The Paris prosecutor's office has opened an investigation for "murder, attempted murder in an organised group linked to a terrorist enterprise". The probe is being handled by France's intelligence agency and judicial police. he city of Marseille has cancelled its fireworks show on Friday after the attack. NATO says it is expected to approve the deployment of sophisticated AWACS surveillance aircraft to the Middle East in support of the so-called anti-ISIS military campaign by the US and its allies. On Monday, NATO Secretary General Jens Stoltenberg said the Western military alliance will decide during its upcoming summit that its AWACS aircraft would “provide information” to the US-led coalition purportedly targeting Daesh (ISIS / ISIL) positions in Iraq and Syria. He was outlining the agenda of the two-day summit, which will open in the Polish capital, Warsaw, on Friday. Officials of the military bloc have said the AWACS planes would use Turkish or international skies, but they would be capable of peering electronically into ISIS-held areas in Iraq and Syria. NATO is not involved in the military campaign, but a number of alliance members such as the US, France and the UK have been carrying out airstrikes against what they call terrorist targets in Iraq and Syria since 2014. In late January, Stoltenberg said Washington had asked NATO to assist the US with AWACS surveillance aircraft in the Syria war. AWACS is a radar system designed to detect aircraft, ships and vehicles at long ranges and control and command the battle space in an air engagement by directing fighter and attack aircraft strikes. However, military experts have questioned the use of such a complicated system against ISIS and other militants, as claimed by the US and NATO. Such a deployment is expected to heighten NATO’s tensions with Russia, which has been conducting air raids on terrorist bases inside Syria since last September. Stoltenberg also said NATO leaders will also discuss expanding a mission aimed at providing training to Iraqi forces inside the Arab country as well as Jordan. Elsewhere on the agenda of the Warsaw summit, NATO leaders would discuss a rise in the military alliance’s military budget, according to Stoltenberg. “The Warsaw Summit will renew our commitment to spend more on defense and to spend better,” said the NATO chief, adding that the alliance’s leaders will also “agree to further enhance our military presence in the eastern” member states. NATO’s eastward military buildup has bitterly angered Russia, which has threatened unspecified measures to respond to the increased activities by the Western military bloc.